Rapides Regional Medical Center is home to a Certified Primary Stroke Center. To achieve this certification, we have assembled highly skilled medical professionals, including emergency physicians, neurologists, nurses, therapists, laboratory and pharmacy staff and radiologists all specially trained to respond quickly and completely to the needs of a stroke patient - and the needs of their family. There are many risk factors linked to stroke. Some are controllable, while others are not. It’s important to know the difference and find out how a few simple changes can make a huge difference. High blood pressure, atrial fibrillation (Afib), high cholesterol, diabetes and circulation problems are all medical risk factors, which are controllable, for stroke. Medical risk factors are treatable by medication and special diets. Lifestyle risk factors such as diet and exercise are part of the controllable risk factors. This includes diet and nutrition, physical activity, tobacco use/smoking and alcohol use. Some risk factors for stroke are simply not controllable. But knowing what they are is still important in determining your overall risk of stroke. Stroke prevention is also important to those who have experienced TIAs. TIAs are brief episodes of stroke-like symptoms that can last from a few minutes to 24 hours, but usually cause no permanent damage or disability. TIAs are serious warning signs of a possible future stroke and must be taken seriously. Learn as many stroke symptoms of a stroke as possible so you can recognize stroke FAST and save a life. Call 9-1-1 immediately if you observe any of these symptoms. Note the time of the first symptom. This information is important and can affect treatment. 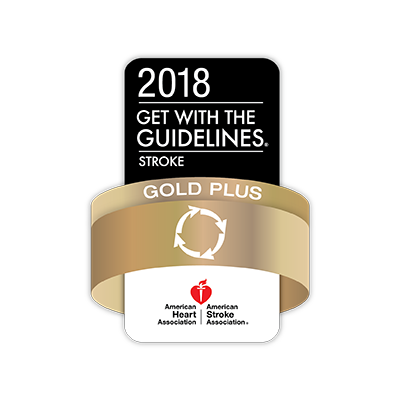 Rapides Regional Medical Center has received the American Heart Association/American Stroke Association’s Get With The Guidelines-Stroke Gold Plus Quality Achievement Award. Age might be the first risk factor we think of when predicting heart attack and stroke. But age, it seems, is not the risk factor it once was. Award given by American Heart Association/American Stroke Association, Get with the Guidelines.